The hindu devi personifies the fatality of time, the threshold of life and death and re-creation. Is many times linked to the periods of blackness, however, “every shadow hath a succeeding morning” if we look to the horizon. “Dreadful Kali” represents the deity in her most powerful and wicked form, Smashan Kali, which is usually portrayed unclothed and sexually attractive as a symbol of fertility. These aspects are connected with Mother Nature (female active energy) and its cycles of life/death/rebirth, sometimes cruel but always crucial. The scene itself speaks about the defeat of Raktabija. Any Raktabija’s blood shed was transformed into other demons, turning the battle almost impossible. 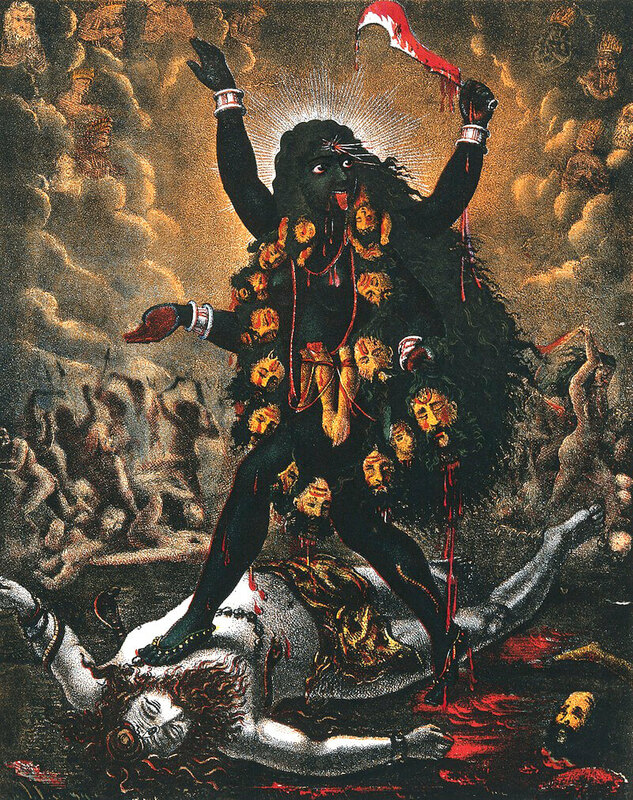 In order to end this fight, Kali brutally cut the monster’s head and drunk all his blood. The violence and frenzy contaminated the goddess which was unable to stop the killing spree. 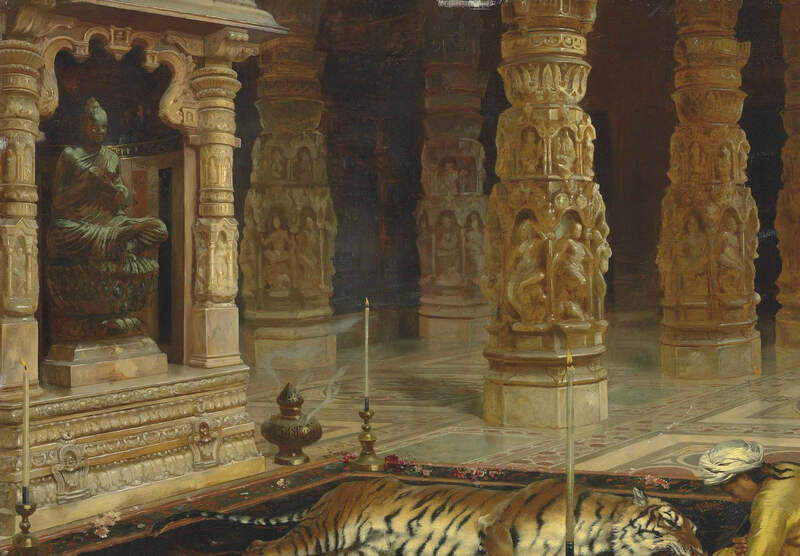 To calm her down, Shiva laid down beneath her feet and she finally ceased. Shiva is pure cosmic consciousness, and Kali is cosmic energy. No creation is possible without their union. 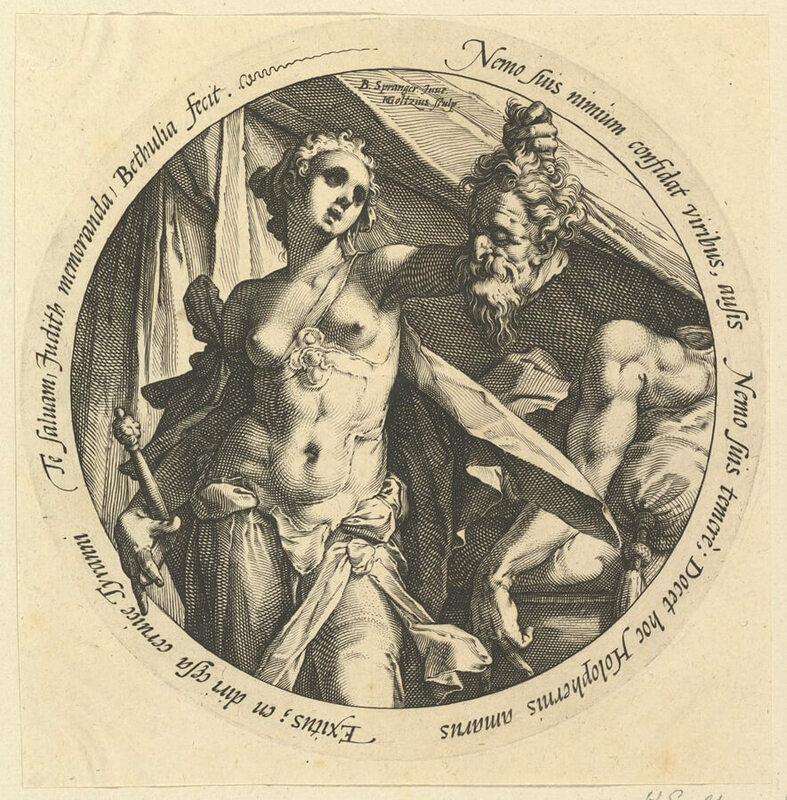 The three open eyes represent the sun, moon, and fire. With these elements, she is able to observe all modes of time – past, present, and future. 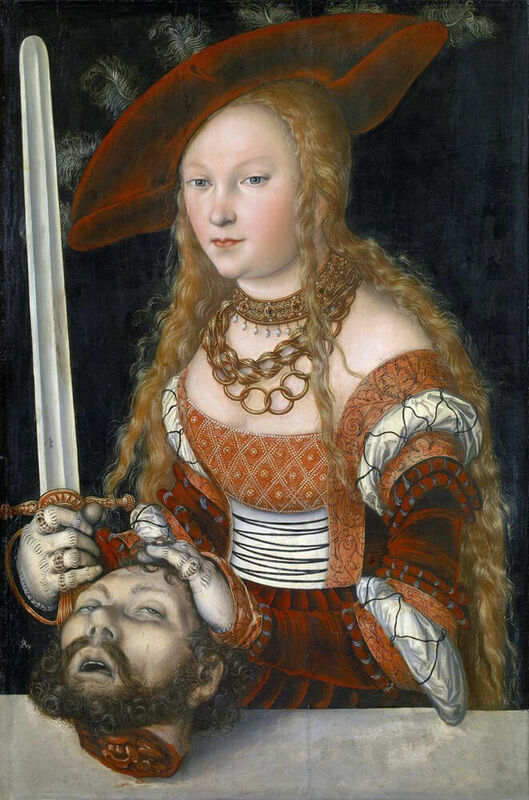 The head of Raktabija materialises the Ego and body vanities, while the sword is the instrument of purification, hewing down the selfishness and materialistic seduction. This mystical execution forward us to spiritual harmony. “Kali standing triumphantly over Shiva's corpse.”, Calcutta Art Studio.